The first day of Google I/O 2014 is well over, but what a day it was! Apart from making a panoply of thrilling announcements at the stage of Google I/O 2014 yesterday(unsurprisingly, we were mostly exhilarated about Android L! ), Google also pushed a significant update to one of its most popular services, which will undoubtedly be the fundamental backbone of the Android Auto and the Android Wear platforms – Google Now. The voice-recognition service already knows more than 50 languages, but thanks to the latest update, Google Now scored true multi-language support – this means that users can switch between up to 7 languages at any given moment and the voice assistant will still understand their queries. In order to make use of this multi-language trait, you'll need to preselect the desired secondary languages, and – voila! - it's done. Additionally, users can launch Google Search with the aid of the "Ok, Google!" hotword from any screen, even from the lock screen (regardless if you have a PIN password or not). The only prerequisite is that the display of your device needs to be turned on. 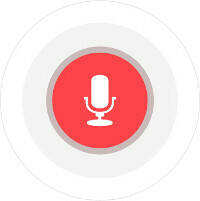 The developer team behind Google Now also revealed some of the challenges that lie ahead of the voice assistant. According to Johann Schalkwyk, its lead software engineer, Google Now is gradual improving, but not out of the woods just yet. Some of the voice assistant's greatest weaknesses are its inability to recognize voices while loud ambient noises are present, as well as dialects. Child speech recognition is yet another department, in which Google Now needs to score more points in the future. "Speech and input modalities are very difficult. They're learning to enunciate better; they don't always speak grammatically; they yell at the phone; they hyper-enunciate – 'DIE-no-saur'," Schalkwyk said. Additionally, a so-called “far field environment” is another pretty important problem that the team behind Google Now has to solve. This problem regards the distance between the user's mouth and the microphone of the Google Now-enabled gadget – if said distance is greater than a few feet, the margin for error greatly increases. If it hasn't arrived yet, don't worry – the update will probably make its way to your device soon. Are you running Google Play services 5.0? It's beta version, it'll have bugs for now. Update not here yet! Maybe later. I'm kinda curious, any of you use 'Ok Google' search thing that often to find this beneficial? What do you usually use it for? I only find the cards practical to look and use the search once in a while only. actually, voice search is different from google now...google replies even if we don't activate google now, its only the cards that are a part of google now. i agree with you, i think 'ok google' hotword would be much more useful if it works without requiring the screen to be on. you need special hardware for that, else your battery will drain like a leaked bucket.. maybe they will comeup with something. the special hardware is already there in nexus 5 and that's the reason why i am asking for it. snapdragon 800 has the dedicated audio processing chip, that is the "special hardware" that you are talking about.. I have a nexus 5 and its very unlikely that I will buy any other phone as long as the nexus phones are available. The always on feature is not a enough for me to buy a non nexus phone. .
where do i go in settings to preselect the desired secondary languages? can't seem to find the options to pick 2nd language in google now.